- WWE announced Saturday morning that The Usos will defend the WWE Tag Team Championships against Luke Harper and Erick Rowan at Money in the Bank. Money in the Bank takes place June 29 from the TD Garden in Boston, Massachusetts. We’ll have complete coverage here at WrestlingNewsWorld.com. - We&apos;ve heard rumblings that CM Punk and AJ Lee were recently married in Chicago. Unfortunately, I&apos;m unable to confirm those rumors at this time. Punk and Lee were scheduled to wed some time this month, however, both were looking for a low profile ceremony. - This week&apos;s episode of Smackdown Fallout is subtitled "Summer Time Madness" and is online at this link. slightly older than Cody, we&apos;re talking three years or something like that, but in his head I&apos;m a really old man. I once walked into the locker room and he was telling the entire locker room that when he was a kid he was watching me wrestling as this character he made up named "Bad News Barrett" who goes around giving out bad news to people. So we all laughed about it and forgot about it. Then I was invited on the JBL and Cole show and they said they wanted to use me on the show and asked if I had any ideas of what to do. So I said you know what, let&apos;s just do Bad News Barrett. I&apos;ll just turn up and give people bad news and then disappear. I got a really good response online and fans were loving the catch phrase "I&apos;m afraid I&apos;ve got some bad news" and Vince McMahon saw it and thought it was the funniest thing he had ever seen. Next thing you know I&apos;m on TV doing it. It&apos;s kind of a blessing and a curse that I have this catch phrase because people like to use it against me. England just lost in the World Cup the other night and believe me my Twitter exploded with people giving me the bad news of England losing to Italy. I&apos;ve always said that I want to become the WWE World Heavyweight Champion. The Intercontinental Championship is nice and this is my fourth time having it but as far as I&apos;m concerned, I&apos;m ready to take a step up and become the man in the WWE. That&apos;s where I want to get to and if Bad News Barrett is the vehicle that gets me there then great, but if not I&apos;ll keep plugging away and one day I&apos;ll be Britain&apos;s first WWE World Heavyweight Champion... a certain part of it isn&apos;t up to me and I&apos;ve got to rely on certain people making certain decisions so hopefully that works out in my favor. Honestly I&apos;m settled on one now. This is finally the one I really, really like. I loved the original Nexus one but as soon as we split up that went away and I had a succession of pretty average theme songs for a little while until I got the current one. And the current one actually has the bonus of a little bit of vocal work from myself which is really just me shouting "boom" over and over again. But as far as I&apos;m concerned I&apos;m a vocalist as well as a wrestler now (laughs). You can watch the whole interview below or at this link. - WWE has a new poll up on dot com asking fans to vote for the best high-flyer for a future episode of WWE Countdown on the WWE Network. The options are Jimmy Snuka, Rey Mysterio, Jeff Hardy, The 1-2-3 Kid, Seth Rollins, Sabu, Ultimo Dragon, Ricky Steamboat, Rob Van Dam, Evan Bourne, Shelton Benjamin, Lita, John Morrison, Kofi Kingston, and Eddie Guerrero. - Dot com also has an exclusive article looking at 19 superstars you didn&apos;t know were related. You can read it here. 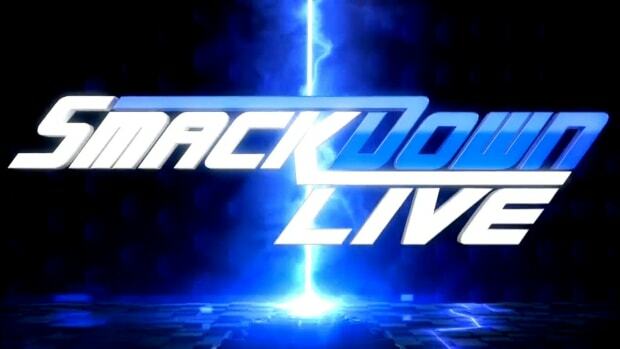 - Last week&apos;s episode of WWE Smackdown received an average viewing audience of 2,322,000. That is down almost 500,000 from the pervious week&apos;s show that received 2,782,000. - WWE star Hornswoggle is featured in the upcoming movie Leprechaun Origins, a WWE Studios production. The movie is set to release on August 26th. The official movie trailer has just been released. You can watch it below or at this link. - Roman Reigns won the Battle Royal, that The Authority announced at the beginning of WWE Raw. Roman Reigns was excluded from the Battle Royal, as well as Dean Ambrose and John Cena as stated by The Authority; however, Triple H took Stephanie McMahon to the "hospital" after drinking some bad coffee from Vickie Guerrero. Vickie inserted Roman Reigns into the match after some persuasion. Roman went on to win the match after eliminating Rusev with the Superman punch. The final spot will either go to John Cena or Kane. - Kevin Hart was the special guest star for WWE Raw. He made several cameo appearances. His main stunt was to commentate during the Adam Rose and Summer Rae vs. Fandango and Layla match. At the end of the match, Kevin Hart joined Adam Rose&apos;s dance party. The video can be seen at this link. - PWTorch.com is reporting that head WWE writer Jay Gibson has been cut from the company this past weekend. If he has been released, last night&apos;s WWE Raw would have been the first show without him part of it. The company surprised many Thursday afternoon when they released 11 talent to cut costs. Their "no fire edict" that was put in place by Triple H was no more. After those releases, many were speculating that there would be internal releases as well. As you probably know, Richard Gray is out of town this week, so we can&apos;t confirm whether this report is true; however, it wouldn&apos;t be surprising that WWE wants to cut their costs anyway they can. - This week&apos;s Backstage Fallout Raw is online at this link. - JR has a new blog out. In it he discusses any topics in the wrestling industry including the WWE World Heavyweight Title, Bray Wyatt, Adam Rose, Raw and Impact Wrestling. In WWE it&apos;s imperative for every talent that can to talk about the importance of the WWE World title especially now that it&apos;s in an undesired state of limbo due to Daniel Bryan&apos;s neck surgery. WWE can ill afford for any luster to be lost from their top championship and one that in both fact and fiction that each man on the roster should be dying to win for a variety of viable reasons including more money in their pocket. I like the duo of Goldust and Stardust and they have a significant upside. Too bad that they aren&apos;t heels, and perhaps they will be in time, as the Usos are fan favorites like the Rhodes brothers and the two teams have the potential to have some great matches but the fans need a team to cheer and one to jeer....IMO. Nonetheless with one simple, creative move Monday night the tag team scene in WWE became topical and relevant. Bray Wyatt continues to be pushed as a &apos;character baby face&apos; on RAW. His gritty and often times irreverent character is highly entertaining and allows the audience to systematically interact with him and seemingly gets more popular by the week. It&apos;s only a matter of time until he&apos;s changing jerseys IMO. Mentioning the name of the town that he&apos;s in ala Mick Foley&apos;s "Cheap POP" or Stone Cold&apos;s "Give me a hell yeah!" plus the sing along to &apos;He&apos;s Got The Whole World in His Hands&apos; makes Bray fan friendly. Roman Reigns is looking like the next &apos;it&apos; guy, or so it seems, and I am completely fine with that. Great shine in the battle royal for the Samoan athlete and as I said months ago on the Ross Report Podcast, I&apos;ve got Reigns winning the Rumble and then the WWE Title at WM31 and hopefully not before. WM31 is the only place to put Reigns on the desired pedestal. Plus, he is far from polished and that comes with time. In other words, I hope he isn&apos;t rushed or force fed to the fans. Hearing that Impact Wrestling might be getting ready to turn the dogs loose in the ring and if so I say "Bravo." Play to your teams strengths is akin to not running the option offense with Manning or Brady like Cleveland may do some with Johnny Football. To read JR&apos;s entire blog click here. - Darren Young has commented on Pat Patterson&apos;s announcement of being gay on last week&apos;s Legend&apos;s House. Below is what Darren Young had to say. - We&apos;re told there was a decision made to take Seth Rollins away from the WWE World Heavyweight Championship ladder match at Money in the Bank and possibly work Dean Ambrose in a gimmick match. - Speaking of Ambrose, he had ice taped to his shoulder after the show. - Erick Rowan had a "golf ball size bump" on his head after the ladder shot that connected. No word whether or not he suffered a concussion, however, he was in pain. - We&apos;re told Triple H hated the Vickie Guerrero puking segment and it was Vince McMahon&apos;s call. - There was no update available on Daniel Bryan. I was cautioned that "no update" is not a good update. - Vince McMahon is reportedly growing wary of Paige. Similar to the way he fizzled on Emma, Vince just seems to be losing interest in someone he was initially very high up on. - The plan as of this week was for Cody Rhodes to dress as Stardust for a "little while." You can compare how WWE Raw did compared to the competition at this link. - There&apos;s an interesting recap of Vladimir Kozlov&apos;s career after he left WWE in 2011. You can check out what he has been doing since then at this link. - MVP also talks in sobering terms of his former traveling partner the late, Chris Benoit and their relationship and how it developed in WWE notwithstanding Chris&apos; infamous final days of Benoit&apos;s life. - We talk Bubba&apos;s early influences, his days in ECW, the great run that he and Devon had in WWE, the TLC matches that they were instrumental in helping build, an issue that Bubba had with Randy Orton, their dream opponents and who I would have loved to have seen the Dudley&apos;s face back in the day. - WWE should target the older fan who may have ceased becoming a regular, weekly viewer in recent years as their primary target demo to subscribe to their WWE Network. The older fan has more disposable income and makes more long term buying decisions than do the younger crowd who still lives at home or are still students. Johnson had suffered a bad injury in his 2013 return to the ring, when he fell and tore both his rectus tendon and adductor muscle while fighting former nemesis John Cena. After seeing a doctor, he opted against surgery. Two days later, by sheer coincidence, something else went wrong. "I came in for a checkup and pulled my pants down, and the doctor goes, &apos;Oh! That&apos;s a hernia,&apos; " says Johnson. "Your abdominal wall gets weak and your organs push through. The doctor said, &apos;You need to lie down,&apos; and slowly starts to push my intestines back in my stomach. He said, &apos;I would really recommend surgery.&apos; "
The Miz also talks about the 11 WWE releases that occured last week. Click here to check out the full interview. - Kevin Hart appeared on The Tonight Show with Jimmy Fallon last night and he talked about his experience on WWE Raw as the special guest this past Monday. You can hear about his experience below or at this link. - WWE&apos;s reality series television show Total Divas has been nominated as the "Best Reality" television show for the Teen Choice Awards. The show is running against Cosmos: A Spacetime Odyssey, Dance Moms, Keeping Up with the Kardashians, and Real Husbands of Hollywood. - WWE published an exclusive interview with Batista on dot com and they covered a wide variety of topics. Batista "quit" on the June 2nd episode of WWE Raw as he had to take a hiatus to promote his "Guardians of the Galaxy" movie. In the interview, Batista talks about when he wanted to come back after he left in 2010, the reception he received when he came back this year, and more! Can you talk to us about how your return came about? Who contacted who?Well, actually, I’d wanted to come back the day I left! [Laughs] I always planned on coming back, and I always tell people I wanted to come back much sooner. It was just that when I left, I wanted to accomplish certain things, and it just honestly took me a lot longer than I had hoped. But I’d always stayed in touch with a few of the boys, and I stayed in constant touch with [Triple H]. When Hunter started being very involved in NXT, it was right here in Orlando, so I just started coming out, talking to him and we talked about me coming back after I wrapped on “Guardians.”You came back with a lot of fanfare and a great reaction, but the fans, as we all know now, eventually turned against you. What were your thoughts on that sudden change in reception?It was weird. It wasn’t like a normal response. It was almost like a personal attack. It had to do with factors that were not in my control, factors and things that were going on in the company with other people, stuff that really had nothing to do with me. To me, it was a little frustrating, a little confusing, and, you know, I don’t want to say I completely took it personal, but I did somewhat. What I heard over and over was, “Batista doesn’t deserve this,” and that’s what I took personally, because it’s like they forgot about my 10 years of pain and suffering and sacrifice. When I left the company, I gave plenty of notice, I left the right way, I did everything right. And also, my very last match, I broke my back. So I literally broke my back for the fans. And for me to come back and for them to say that I didn’t deserve the spot that I was being put in? For one thing, I didn’t ask for that spot. And here’s my thing with wrestling, and I tell this to everybody: If you get an opportunity, take the opportunity, and if you pass it up, you’re a fool. And if you hate on a guy just because he’s taking advantage of an opportunity that’s given to him, then you’re an idiot.So going back to your return for a moment, after you won the Royal Rumble Match, it was supposed to be you and Randy Orton at WrestleMania for the WWE World Heavyweight Championship. Eventually, Daniel Bryan was added to the mix. What were your thoughts on that development?Oh, I was super excited. I was super excited, because, you know, we needed that element. Even speaking from a fan’s standpoint, for me, it’s hard to get sucked into a [bad guy vs. bad guy] match. We needed a hero, man, and Daniel Bryan was the biggest hero in the company. I knew this was gonna be good. It’s so much better when the fans have an emotional investment. And they were so emotionally invested in Daniel Bryan, and they were so absorbed in their hatred for me that I knew it was gonna be good stuff.You’ve spoken about wanting to steal the show, and a lot of people think the Triple Threat Match did just that. Did the match live up to your expectations?Oh, by far. I knew we were gonna steal the show. But that’s one other thing. If anybody can accuse me of being selfish or arrogant, it’s when it comes to my match. I’m selfish in that way. I want it to be all about my story. I want it to be all about my match. Everything else is secondary to me. I think more guys in this business should have that outlook. It’s gotta be about their story. They should be protective of their story. They should be protective of their matches, because it’s theirs. It’s what they own. It’s everything they strive to be in this business. It’s all in that story and in that match. Not making it about yourself, making it about thematch. It’s never making it about yourself, it’s about your story. That’s why I never minded being the bad guy. I don’t need the accolades, I don’t need the applause. I want people to be sucked into my story.You ultimately did quit on Raw, dropping the mic and giving a pageant wave that got one of the best reactions of your return. How do you think that exit stacks up against you in the wheelchair in 2010?The last time I quit in the wheelchair, my contract was up. I had fulfilled my contract, I gave plenty of notice, I wanted to leave and do other things outside of the company. I felt like that was the time. I’m not getting any younger, I needed that time to go and do it. And this time it’s the same way. I’m really leaving because I have obligations that I made to Marvel, and I need to go out and promote “Guardians of the Galaxy.” I’m not leaving behind WWE, I’m not leaving behind wrestling. I love it. I always say, at the end of the day, I am a wrestler, I am a sports-entertainer. I’m not leaving it behind, but I fulfilled my obligations and now I need to fulfill other obligations and that’s why I left.Do you think you’ll get back in the ring after you’re done promoting the movie?We’ve already been talking about that. We were talking about when I would come back before I even left. I don’t feel like my career is over. I felt better leaving this time than when I got in, because I came in with an injury and I left feeling healthy as can be. It’s hard for me to leave now because I feel like I was just hitting my stride. I think a lot of people forgot I was away from wrestling for four years, and it took me a couple months to really start getting in touch with the audience because it’s a completely different audience, man. It was really weird for me at first. I just started finding my stride, so it’s weird for me to leave, but I don’t feel like my career is even close to over, man. I got a lot of good matches, and hopefully it’ll work out. Batista also comments on the whole "Bluetista" craze, his upcoming movie, and states he wants to have a program with Bray Wyatt. You can check out the full interview here. - Kevin Hart was on The Daily Show with Jon Stewart, where Stewart talked about having no one else to talk to about wrestling, other than his son, and all the do together is watch wrestling. Hart stated he was a fan, but it&apos;s dropped off as he got older, Stewart, not so much as he was ranting about Evolution breaking up. Hart talked up Dusty Rhodes, Ric Flair, Junkyard Dog, KoKo B. Ware, Road Warriors. Then Stewart threw out names of Bruno Sammartino, Gorilla Monsoon, Haystacks Calhoun, Jimmy Snuka, Chief Jay Strongbow. The only name Hart knew was Snuka&apos;s and they discussed Hart on WWE Monday Night Raw. Hart told Stewart that they at first wanted to get Hart into the ring, but he wanted nothing to do with that. They asked what he&apos;d like to do, and he said that he&apos;d love to announce a match, be a personality, but when he got there, they told him they had a plan to get him in the ring. He really didn&apos;t want to get in the ring, but did after Fandango&apos;s match. On his WWE release: It was expected to an extent. Really I feel like a weight has been lifted off my shoulders. They weren’t using me and I was just living this life of sitting and waiting around and not able to commit to things in my real life. Like if I wanted to go a wedding, I never know if they (WWE) are going to come calling. It was kind of annoying, to be honest with you. And anyone that knows me knows that I’m just crazy about wrestling, and I’ve had my pulse on the Indy scene and it’s something I’ve been dying to dive into and now I finally can. This spot is very similar to the "cigarette-as-bully" PSA that is currently running. We find "Dave" being bullied by his cigarette by way of text message. He is attending a WWE match a super-fan of his idol Daniel Bryan. When Daniel gives a public shout-out to "Dave" in the audience he is no where to be found. The camera finds "Dave" alone in the parking lot bullied by his cigarette to go out and smoke missing what would have been the greatest moment of his life thus far. 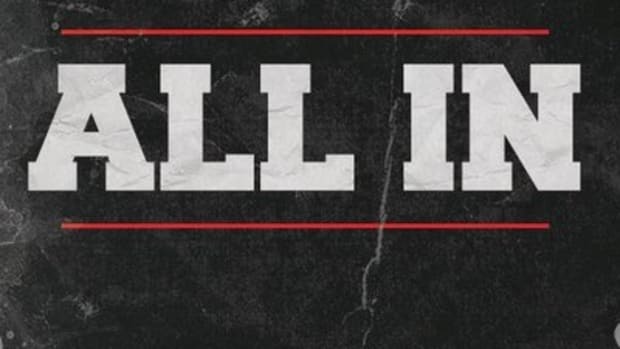 - A lot of people were surprised by WWE publicly announcing 11 talent releases. It had been so long since the company had done a round of mass cuts and as we broke here on WrestlingNewsWorld.com, Triple H had been reluctant to fire anyone. Instead, Hunter had opted to pay talent their downsides until their contracts expired and quietly let them go. - We just received word that Brodus Clay is making his first appearance since being let go from the WWE. Brodus Clay will be making his GLCW Debut on Friday, June 20th at KALapalooza. The switch came after Rosita was unavailable for the show. As of this show there are still Meet and Greet tickets available to talk to the former WWE Star. With this appearance, it seems as though Clay didn&apos;t have a 90 day no-compete clause with is release. - WWE has removed Cody Rhodes from the Superstars section, and replaced him with Stardust. His new page can be seen here. - Former WWE talent, Drew McIntyre was recently interviewed by Chris Jericho on his "Talk is Jericho" podcast. In the interview, Drew states that Vince McMahon though Heath Slater needed a band and decided to pick him. Drew stated he was suppose to be the main guy for the faction but he suffered a broken wrist and the plans were scrapped. He also talks about his release from the company last week. You can listen to the interview at this link. - Bobby Lashley and Austin Aries won their respective singles matches at Slammiversary to challenge Eric Young for the TNA World Heavyweight Championship in a Steel Cage Match. During the match, Lashley was sent outside the ring through the door of the cage. The only way to win was by pinfall or submission. Young went on to hit the pile driver on Aries to win. No titles changed hands at Slammiversary as Sanada retained the X-Division Championship in a Ladder Match and Angelina Love retained the Knockout&apos;s Championship against Gail Kim. - As CJ Blaze noted on the site duringTNA Slammiversary, Team 3D have been announced as the next inductees into the TNA Hall of Fame. You can watch the official video honoring them below or at this link. - We noted on Friday that Dallas Cowboys defensive end George Selvie would be in attendance at the Slammiversary pay-per-view. His teammates, Ben Bass, Nick Hayden, Tyrone Crawford, Caesar Rayford and Martez Wilson were also at the event. They got into a confrontation with James Storm during his match against Mr. Anderson. The team met with Mr. Anderson in the ring after his victory. TMZ covered the moment and you can read the story here. Matt and Jeff Hardy make up one of the most recognizable tag teams of all-time. Individually, they have climbed to the top of professional wrestling. Now, at the upcoming IMPACT tapings in New York City, the brothers will reunite! ImpactWrestling.com has learned that TNA has come to terms with Matt Hardy to appear at IMPACT in New York City, which marks the first time that Matt has been inside a TNA ring in three years – this was also the last time a match featuring the Hardy’s was nationally televised. Together, Matt and Jeff Hardy are one of the most decorated tag teams of all time and we are excited to see what the duo has planned for NYC! More details to be announced soon! Stay updated at ImpactWrestling.com! You can find details about the Impact Wrestling taping in Bethleham at this link. - TNA Wrestling is running a poll on their official website asking fans which ring they want TNA to use going further. Voting will end on Thursday at Midnight after the airing of Impact Wrestling. TNA will make the results known Friday. TNA will begin using the ring at the NYC tapings start on June 25. TNA states the future of the Impact ring is in the fan&apos;s hands. To vote you can visit TNA&apos;s official site by clicking here. As we noted on the site yesterday, TNA Wrestling is asking their fans to vote on which ring the company should use moving forward. Should they use the four sided ring or the six sided ring? The winning win will be revealed this Friday and whatever one wins will be used at their New York City tapings next week and beyond. "Seems to be some overanalyzing going on. I tweet more often about my personal, non-wrestling life, than not. Keep that in mind y’all…"
- MVP "fired" Earl Hebner on Impact tonight. Brian Henber stepped up for his father, but then backed down in order to retain his job. - Dixie Carter took to Twitter to talk down Tommy Dreamer after their encounter on Impact last night. - Last night&apos;s Impact Wrestling received an average viewing audience of 1,330,000. That is dramatically up from last week&apos;s 1,005,000. This show, which featured Taryn Terell, Bobby Roode and Tommy Dreamer&apos;s return to Impact Wrestling television as well as Eric Young&apos;s two championship defenses, which had Bobby Lashley win the TNA World Championship at the end of the night, received the highest audience since the April 11th Impact Wrestling. You can check out how Impact Wrestling stacked up against the competition at this link.